Many health-conscious consumers are stampeding to the health food stores and the organic sections of grocery stores these days. There are many valid concerns raised by those who prefer to keep unwanted chemicals out of their bodies. Many home gardeners share the urge to keep contaminants out of the produce they grow. This urge is intensified for growers of strawberries. In fact, there are many good reasons to grow your own strawberries. But, most nurseries that offer strawberry plants for sale do not help the conscientious gardener by offering organically grown plants. Fear not, ye strawberry enthusiast! If you are looking to buy organic strawberry plants, simply look below. The known suppliers of organic strawberry plants are listed below. One of the landmark studies supporting the claim that organically grown food is better than non-organically grown food was completed recently. And, interestingly, the study was done using strawberry plants. 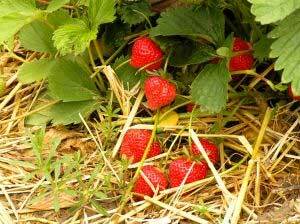 The results indicated that organic strawberry plants are better than conventional ones. However, the implications extend beyond strawberries to most crops. So, if you are thinking of ordering bare-root strawberries this year, why not buy organic strawberry plants? You can do so from the companies/nurseries listed below. Unfortunately, this list of sources of organic strawberries is rather small. Hopefully, both demand for these wholesome plants and the number of suppliers will increase over the coming years. If you are aware of a supplier of organic strawberry plant stock, please use the comments below or the contact form on the About page to let us know about them. Once verified, we will include them in the list above. 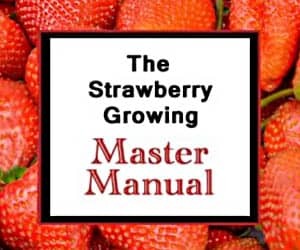 Additionally, if you aren’t concerned about whether or not your strawberry plants are organic, you can find a host of suppliers in the Strawberry Plants for Sale directory. Does anybody know a nursery to source Sensation™ Brand ‘Florida127’ plugs? Thanks for any response. Territorial Seed Co. states that their supplier for Seascape Strawberry plants probably grows conventionally. There are quite a few online sources for Ogallala strawberry plants (and others as well). To price shop or compare the cost and availability for all the strawberry varieties available for purchase online, see the Buy Strawberry Plants directory. Or, if you want to jump right to the variety you mentioned, click here: Ogallala strawberry plants.